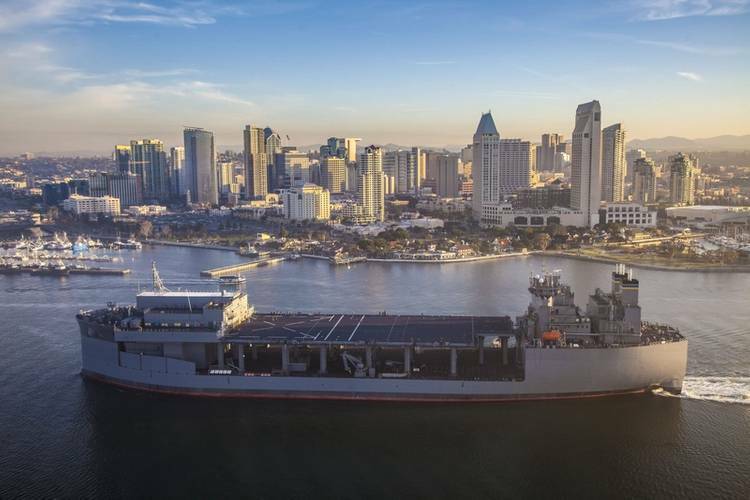 The fourth expeditionary sea base vessel, USNS Hershel “Woody” Williams, was delivered to the U.S. Navy’s Military Sealift Command (MSC) on February 22. 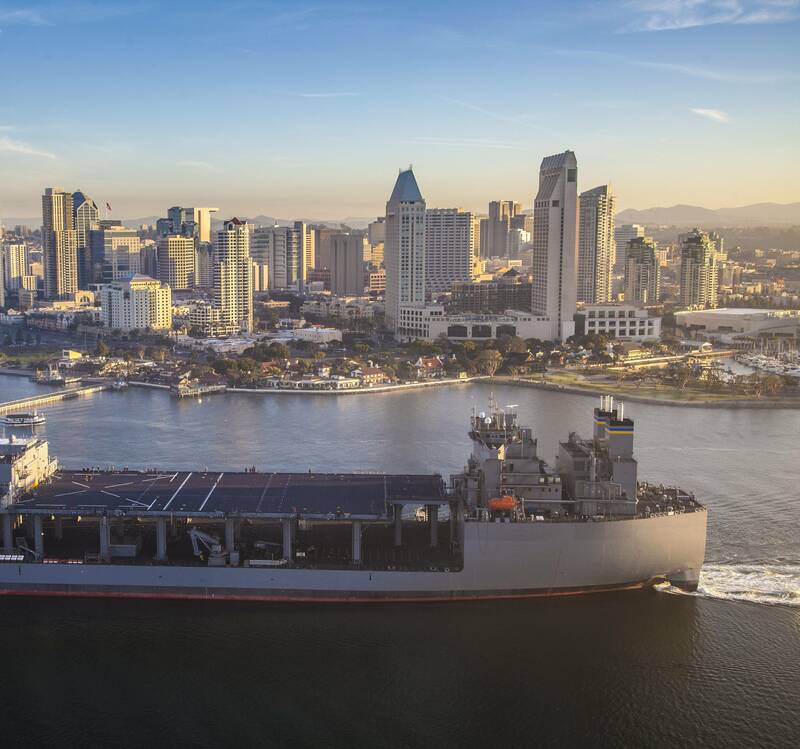 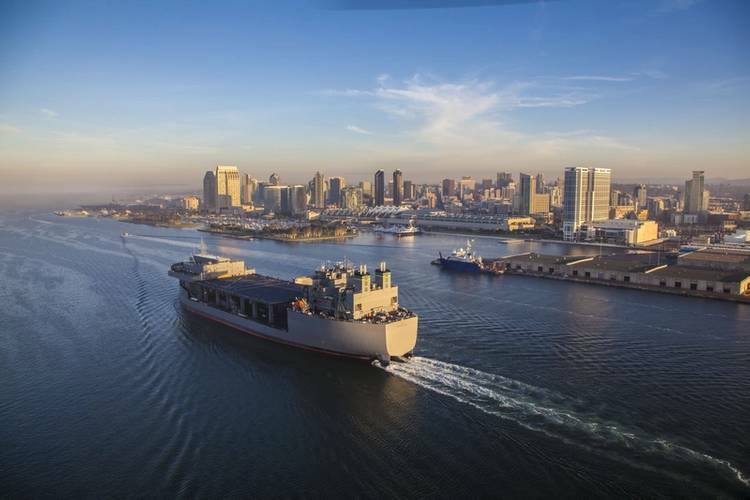 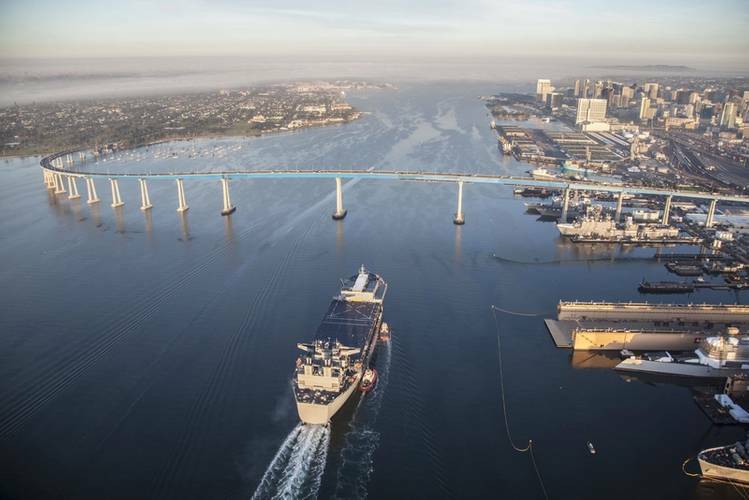 Shipbuilder General Dynamics NASSCO began constructing the 784-foot-long ship in October 2015, applying lessons learned from ESB 3, USS Lewis B. Puller, throughout the ESB 4 build. 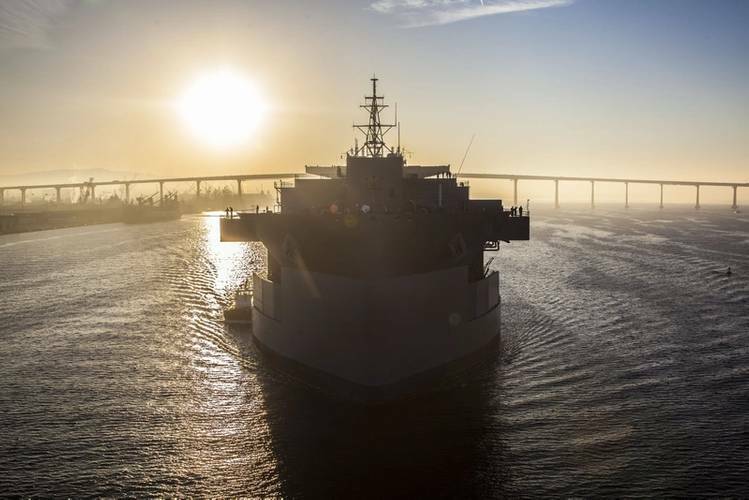 The vessel, named after World War II Medal of Honor recipient Hershel “Woody” Williams, is designed to carry out various missions including air mine counter measures, counter-piracy operations, maritime security operations, humanitarian aid, disaster relief missions, Marine Corps crisis response and more. 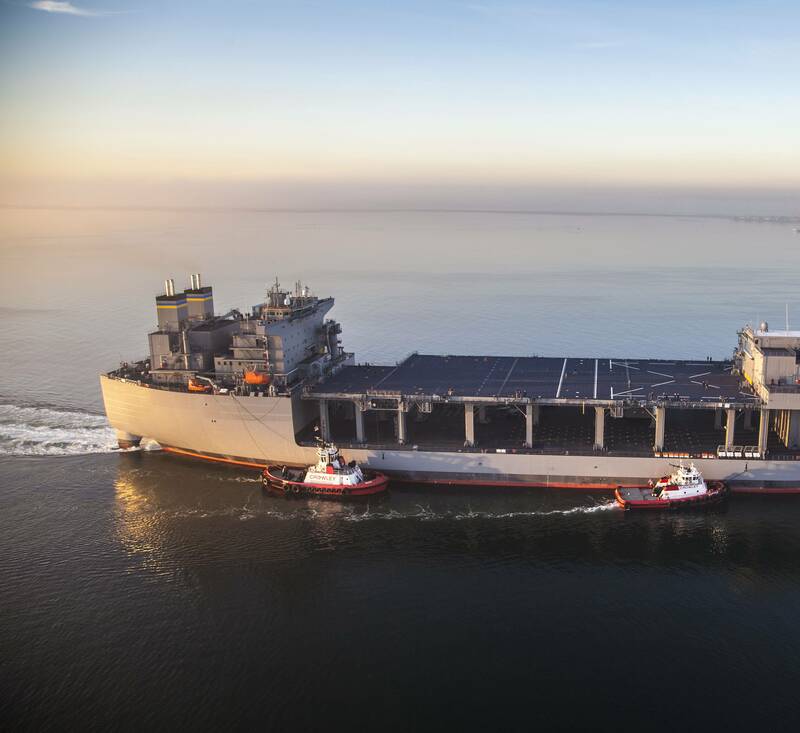 MH-53 and MH-60 helicopters, and MV-22 tilt-rotor aircraft are all supported. 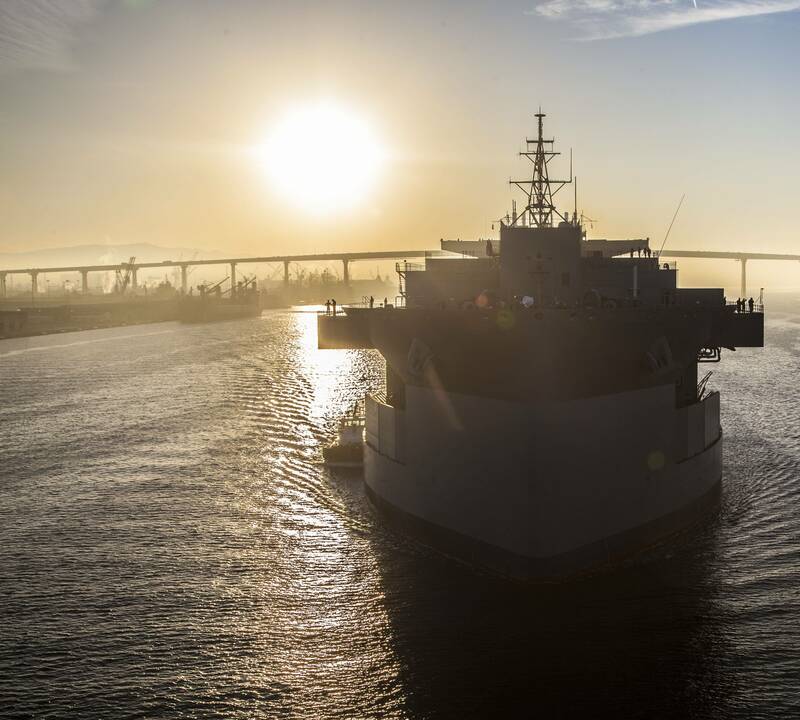 Delivery follows the completion of integrated sea trials; from January 15 to 19, NASSCO and government personnel performed tests including calibration of the ship’s navigational and propulsion systems, and demonstrations of the ship’s anchor handling, firefighting and damage control, aviation, navigation and communication equipment. 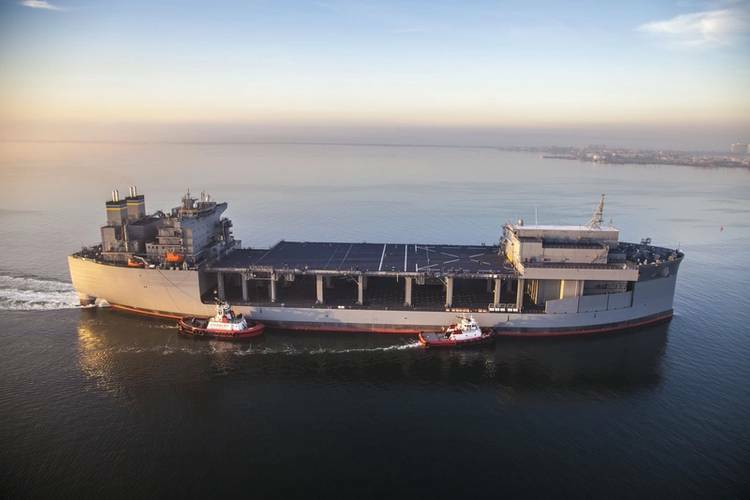 Construction of ESB 5, the future USNS Miguel Keith, is currently 60 percent complete and will be delivered to the Navy in March 2019, NASSCO said.